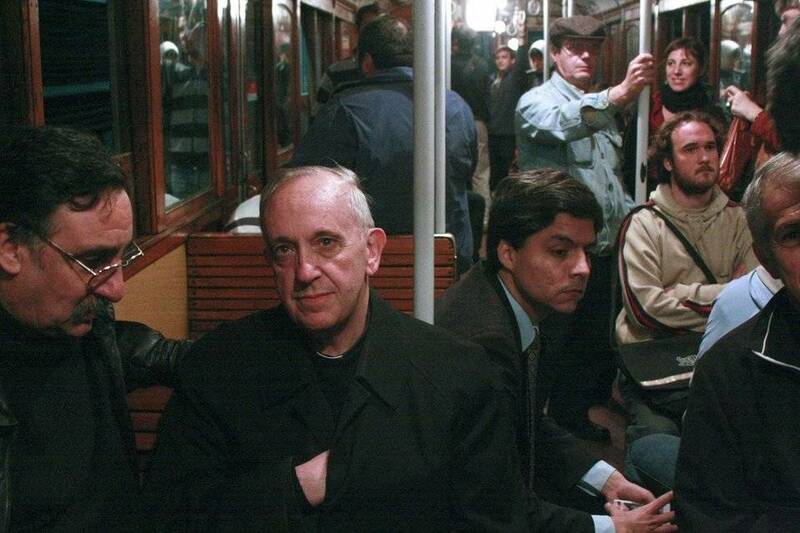 Is Francesco an Italian American Pope? Is Pope Francesco a Latino? He surely is an “American” of Italian descent. At the very least, he is an Italian Argentinian. And for some, that might be Italian American enough. 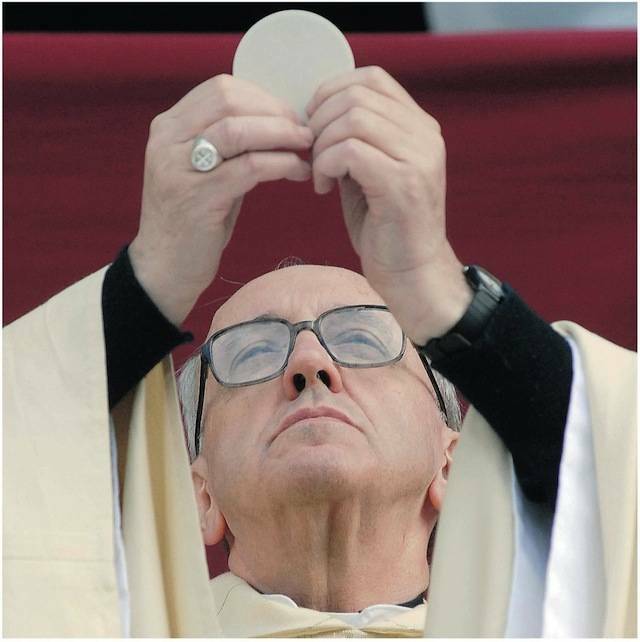 With the election of the Italian Argentine Jorge (“Giorgio”) Mario Bergoglio as pope, who humbly chose the name Francesco, a number of groups were able to claim victory, if “victory,” in fact, is the proper term we wish to use. I use this term only because during the years of the previous two non-Italian popes, there was always a murmur or two about them not being Italian. Before John Paul II (1978- 2005) and Benedict XVI (2005-2013), the last non-Italian elected was Adrian VI, a Netherlander, who served from January 1522 to September 1523. And let’s be honest, 455 years can make people believe that an Italian pope is only natural, and anything different, well, is not. 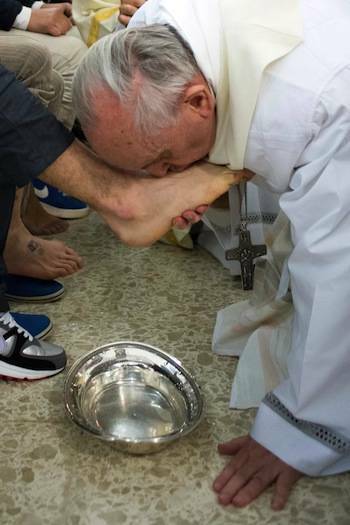 is Argentinian, therefore from Latin America, and, then again, we presume, a “Latino”; Italians, of course, because he is “Giorgio” Mario Bergoglio, son of Italian immigrants, and thus one of their progeny; Italian Americans (we usually associate this adjective with North Americans, here I am thinking more broadly), because he is, after all, someone from the Americas and, equally important, the son of Italian immigrants. Yet this somewhat pollyannish, ethnic triad outlined above is not really the case. 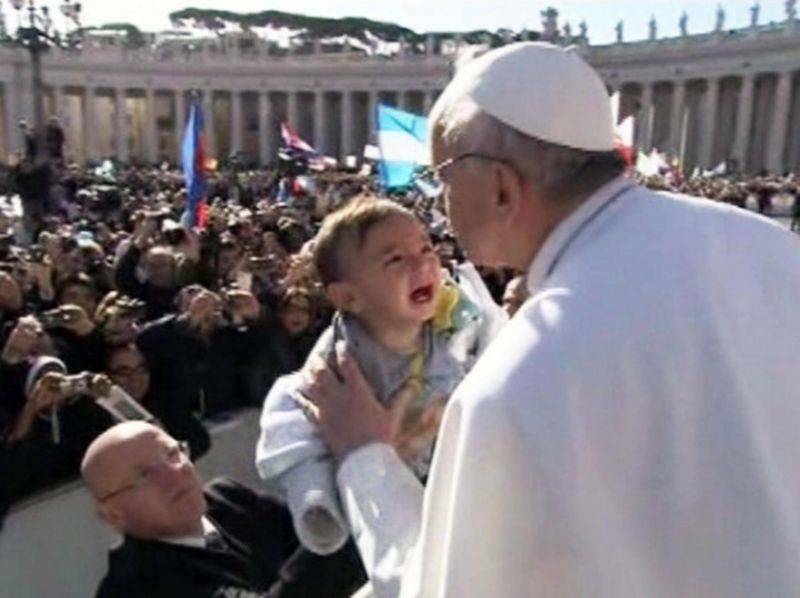 As Jesse Washington reported for NBC Latino(4), there is skepticism as to whether Pope Francesco is a true Latino. And the geographical question continues, as Washington cites Yale history professor Stephen Pitti, director of the “Latino/a History Project” (I see the irony here. ), who sees a difference between “Latino” and “Latino American,” this second term, Pitti recounts, coined by the French in 1860 around the invasion of Mexico. That said, then, according to Pitti and others, the former is used to “describe people of Latin American descent in the United States”; the latter used to describe people from the various countries that make up Latin America. Further still, as Raul Hinojosa-Ojeda, professor at UCLA’s Cesar E. Chavez Department of Chicana/o Studies, pointed out: were the test of indigenous blood applied, people such as Selma Hayek and Carlos Slim could not be considered Latinos(5). So where are we then with Pope Francesco? Is he a Latino? Can we, geographically in the United States, decide to share our “American” adjective (as I have suggested above) and apply it also to Pope Francesco? If so, then he surely is an “American” of Italian descent. At the very least, he is an Italian Argentinian. And for some, that might be Italian American enough. Enrique Polick, 52, a Cuban-American who went to Rome for the conclave, said: “It’s a victory for the Americas, both North and South”(6). Then again, if we were to follow that more generic notion of thinking, which tells us to look at the person not at the label, we might align ourselves with those who feel “that the only label that really matters is the one we all share: human”(7). Whatever the verdict may be — I suspect it shall remain out for some time to come — for those of us of Italian descent, he is our paesano, that’s for sure!